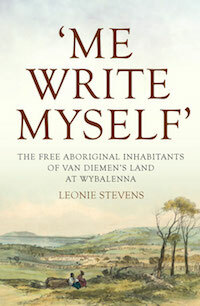 Congratulations to Leonie Stevens on the publication this book, which allows the men, women and children exiled to Wybalenna settlement on Flinders Island in the 1830s and 1840s speak for themselves, through words found in items in the Flinders Island Chronicle, sermons, letters and petitions. In doing so, it reveals a politically astute community engaged in a fifteen-year campaign for their own freedom. The book will be launched by Richard Broome on Thursday 26 October 2017 (see Events for details).